Size: 29 x 20 1/4 in. 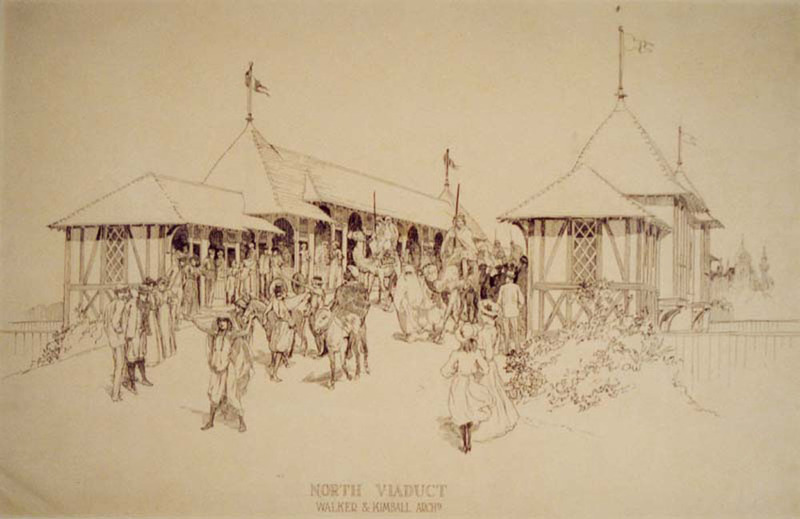 Architect's drawing of North Viaduct by Walker and Kimball. Spectators and performers gathered with camels and horses. Framed illustration.